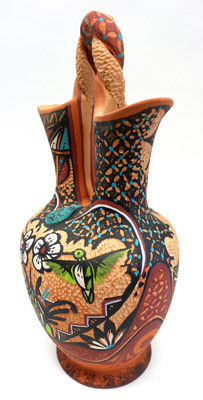 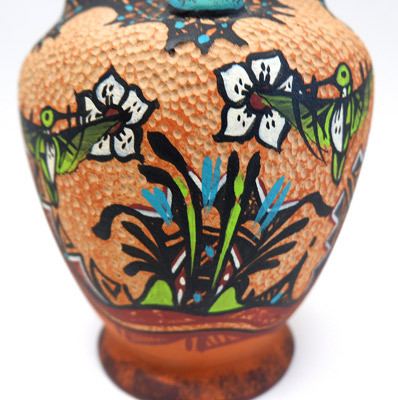 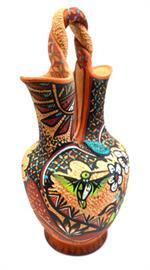 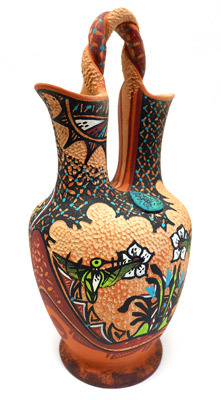 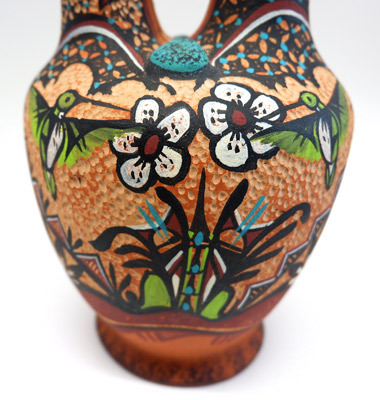 Jemez potter Joseph Fragua has hand coiled, etched, and painted this unique wedding vase adorned with flowers and hummingbirds. 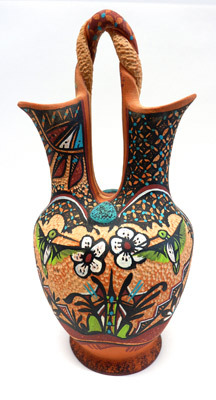 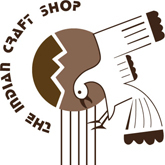 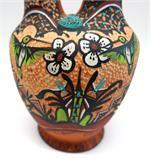 The Fragua family has been instrumental in the revival of pottery making at the Jemez Pueblo. 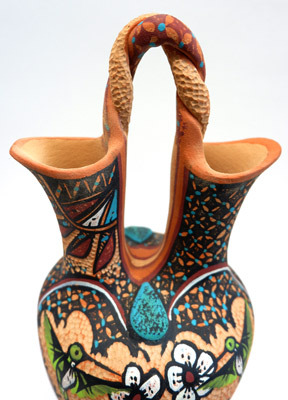 Height: 10.5", Width: 5.5", Depth: 5"